Punch perfect holes without measuring. Punch up to 20 sheets of copy paper at once. 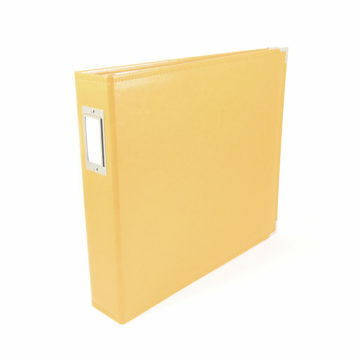 Compress wire binding with cinching bar. 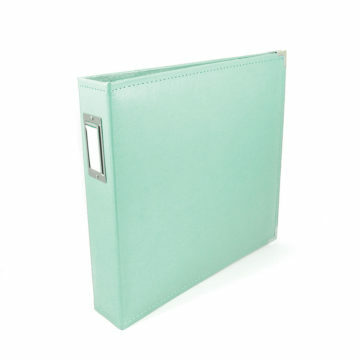 Easily thread pages with wire binding hooks. Uses double O wires or spiral binders. 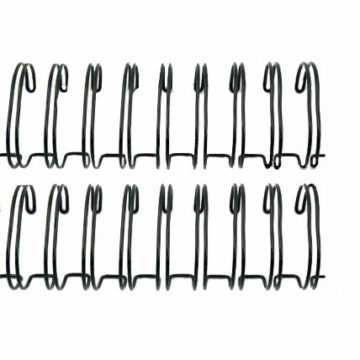 Binds from 0.325 inches (0.81 cm) to 1.25 inches (3.12 cm). Heidi Swapp Cinch Book Binding Tool With Square Holes. 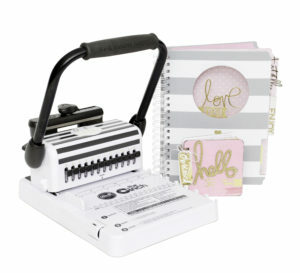 Great for making mini albums, recipe books, journals and more. Simply choose the holes to be punched and let the punch bar do the work. Then thread the covers and pages onto the Cinch binding wire. The tool secures the binding wire, making it easy. Lastly, the back of the tool will hold the book in place while the punch bar presses the binding wires shut. 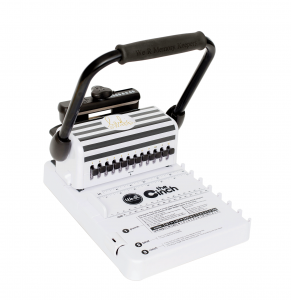 This heavy-duty tool cuts chipboard or several sheets of cardstock easily. Instructions included. This package contains one Cinch Book Binding Tool V2 measuring approximately 11-1/2x8x5 inches and instructions.